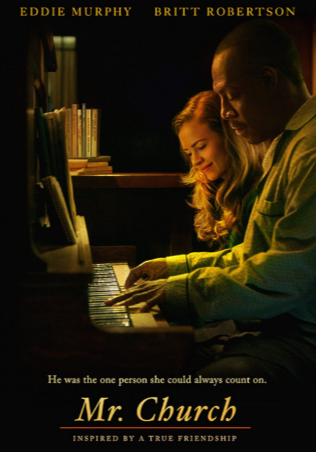 The movie, which features Eddie Murphy and Britt Robertson, tells the story of a lifelong friendship that began when a cook agreed to help a little girl and her dying mother. It was registered with the U.S. Copyright Office on August 29, 2016 under Registration No. PA 2-002-851. In this Indiana lawsuit, a copyright attorney for Plaintiff contends that Mr. Church was unlawfully released on the internet and shared, potentially worldwide, using the BitTorrent file-sharing protocol. Defendants in this litigation are accused of having participated as part of a BitTorrent “swarm,” in which each Defendant shared portions of the movie with other Defendants, ultimately resulting in each Defendant obtaining a complete copy. Plaintiff asserts that it used geolocation technology to trace the Internet Protocol addresses of each Defendant to a point of origin within the Northern District of Indiana and that, consequently, jurisdiction in Indiana is proper. Plaintiff claims that the alleged copyright infringement was both willful and intentional. In its complaint, which lists a single count of copyright infringement, it asks the court for injunctive relief, damages, costs and attorneys’ fees. The case was assigned to District Judge Jon E. DeGuilio and Magistrate Judge Michael G. Gotsch, Sr. in the Northern District of Indiana and assigned Case No. 3:16-cv-00773-JD-MGG.